Andy Goode has denied accusations of homophobia after seven-year-old comments from the fly-half started to the rounds on social media. The Rugby Pod presenter and former international came to fore last week after heavily criticising Mathieu Bastareaud for his comments during Toulon’s clash with Benetton Treviso. 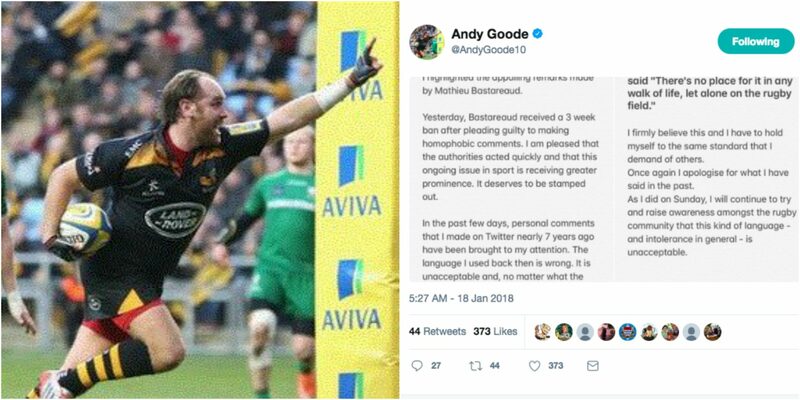 However, soon after ancient tweets from Goode himself using similar language started to appear on social media with some people calling the popular fly-half a hypocrite. Goode today has come out fighting with a statement.